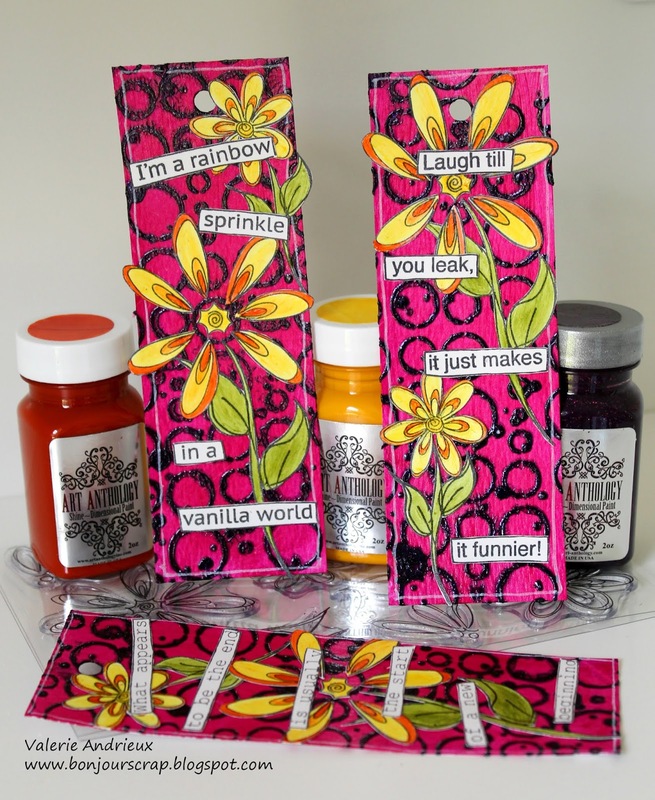 I used the new Shine mediums in Azalea pink, Canary Yellow, Kelly Green and Sunrise Orange, as well as the Patience Colorations spray, the Mardi Gras Velvet and the new Messy Bubbles stencil. In addition to those Art Anthology products, I used few Dylusions stamps by Ranger like the Laugh 'Til You Leak or the Fancy Floral. 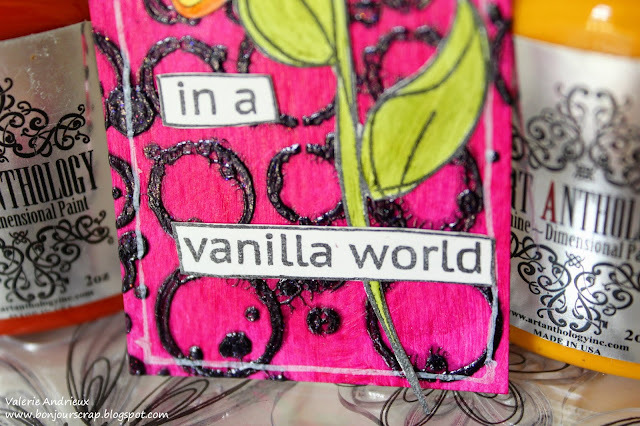 I outlined the tag with a white gel pen before gluying the painted and cut stamps.These Shine mediums are really bright and peppy ! Thank you for taking some of your time to read this post. It's your turn now to create bookmarks for your summer books ! Have and see you soon for another project ! 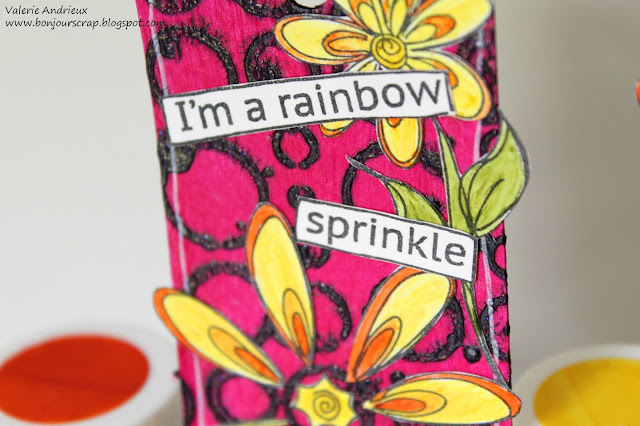 Love the bright colors Valerie! I love bright colors too !